With no official comment from the International Olympic Committee on depriving wrestling of its Olympic status experts and fans continue to guess. Some are suggesting conspiracy. 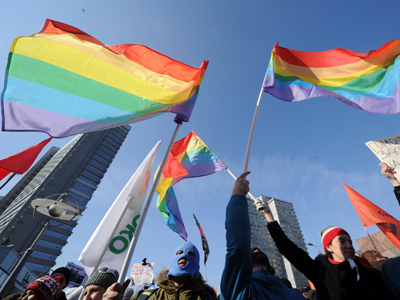 Vladimir Uruimagov, who has coached two Olympic champions in Greco-Roman wrestling – heavyweight Khasan Baroev, who won in Athens in 2004, and London 2012 champion in 84 kg category Alan Khugaev, suspects gay activists to be behind the move. On Tuesday, the International Olympic Committee’s executive board voted to drop the sport, which is one of the oldest in the Olympic program, into a category of eight sports, including baseball/softball, karate, roller skating, sport climbing, squash, wakeboarding and wushu, vying for one place in 2020. The winner will be announced in September at the IOC meeting in Buenos Aires. An unnamed IOC representative, who attended the voting Tuesday, said poor TV ratings and a lack of spectators’ interest during the London Olympics could be behind the reasons for this decision. For decades Russia has been among the leaders in the sport, having won four gold medals at the most recent Games in London, so Tuesday’s move has worried the country’s Olympic boss Aleksandr Zhukov. “I can’t imagine the Olympics without wrestling. It’s unfair to rob millions of children, engaged in wrestling in Russia, of their Olympic dream,” he told a news-conference on Wednesday. “We will use every opportunity to keep wrestling in the Olympic program. If I had known wrestling could be dropped from the Olympics I would have spoken to [the IOC president Jacques] Rogge in person. But no one expected this,” Zhukov said. “Wushu? Roller skating? Sport climbing? 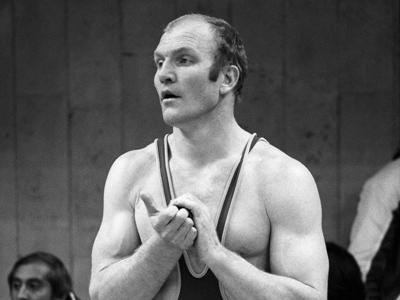 I respect all these disciplines, but wrestling is much more important,” Zhukov added.